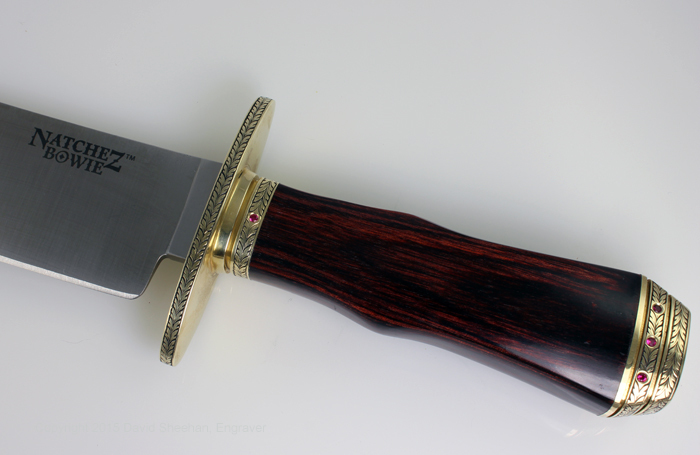 This beautifully made, almost 12 inch Bowie, is a real eye catcher. 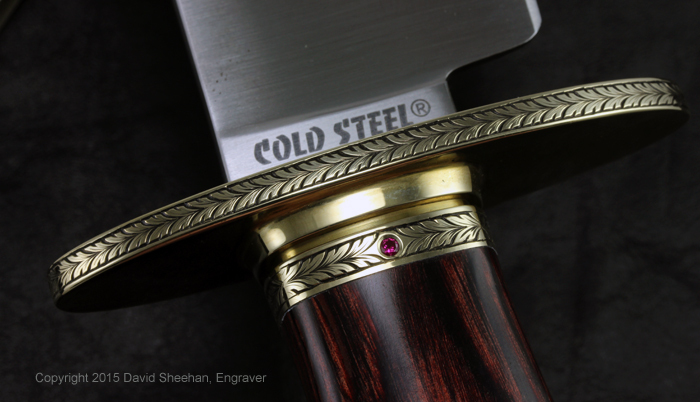 I was commissioned to hand engrave this knife by Lynn Thompson, the president of Cold Steel. 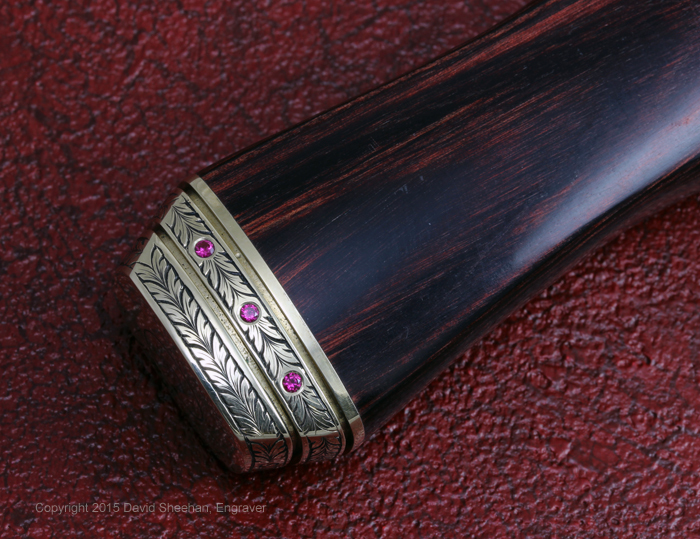 I chose to use a double running leaf engraving pattern and flush set rubies into the design. 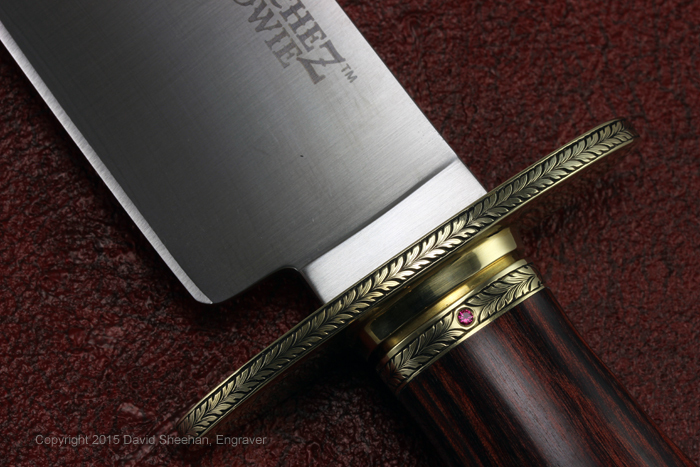 The size of this knife makes it a real challenge to turn while hand engraving under a microscope! 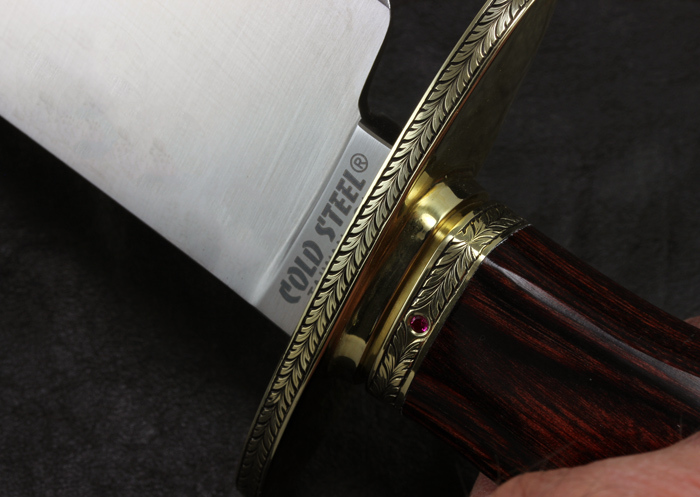 I think the contrast of the rubies and brass work well together. Love this knife!